EDIT: 10/19/18 now I can't find either one of them, & I think tomorrow morning will be a good day to start using it ARGH! Last edited by rumrunn6; 10-19-18 at 01:58 PM. I bought this for exactly that temperature range. It's not fleeced so it's not as warm as a fleeced one but blocks wind really well. I bought this for exactly that temperature range.https://www.amazon.ca/gp/product/B00...?ie=UTF8&psc=1It's not fleeced so it's not as warm as a fleeced one but blocks wind really well. I’m hoping a thin summer skull cap, earband, and helmet cover will do this autumn / early winter. 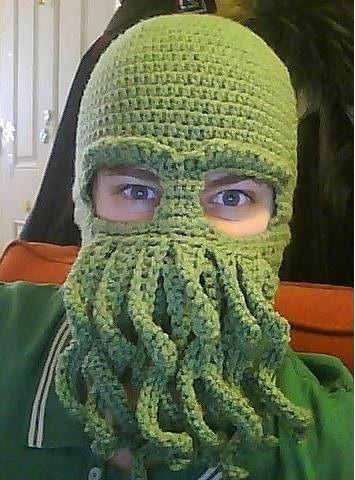 Later I might add a merino skull cap (if I can find one). anyone got a head cover they use that's just right for when it's cool, but not cold? 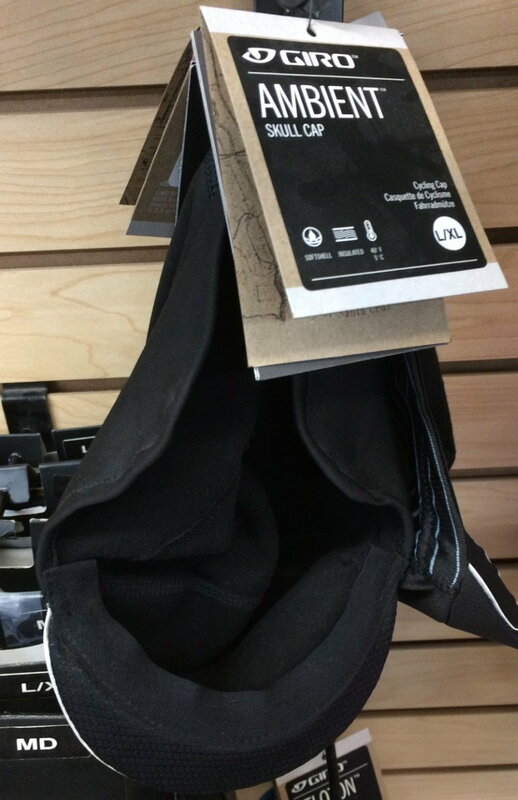 I'm running a gore tex beanie from seal skins pretty much all year round except from summer. its really good. very tight fitting and slim. I've done the merino buff under the helmet and over the ears like some kind of balaclava, or just under the helmet and over the ears with the top of my head kind of out. helps to keep the sweat down but also out of my eyes. the other one that i've gone with is Columbia had a sale on thin polyester hats. picked up three of those and those fit great as well. they're very warm. Yeah, the merino buff was a godsend this past winter. It's comfortable in a very wide range of temperatures. may go to a Bike-Ski helmet this winter , which has built in top of head warmth and warm ears.. Anyone who has experience with the GripGrab WINDSTER skull cap? Is THIN really THAT important? I'm partially bald, so I wear a white poly Halo beanie all year when it's above about 50°. Below that, I change to a PI black skullcap, which I wear in all other conditions, including down to 40° and pouring rain. Always under a helmet of course. If it's windy and getting down below 40° I might wear a black balaclava, but only then. Otherwise I overheat. The helmet and those 3 items are all I ever wear for cycling head covering. They are all thin. Overheating is something to be aware off, yes. I’m trying a thin Woolpower tubular (à la Buff) now and I love it. Fair enough. I throw on studs or cross tires and keep going. The way the streets are plowed here, unless you want to mess with traffic, which are not accustomed to see bikes in winters, not a good option. I come from Ottawa west (inside greenbelt) to Hull, average twice a week all winter, should do better this year with some work changes. I found some decent routes on the bike Ottawa winter biking gmaps layer. I get mine in the spring - side of the road or kijiji. One pair 622x35, one 26x2.0. $25 total so far. Those seem like an odd size though. If I was going past 2" I would think about fat bike to ride unplowed snow - on paved streets and sidewalks I have never wanted more than my 35s. haha yeah I've used (700x) 35mm studded Marathons for years & very happy. last year, or maybe the winter before last? I got a set at 40mm. beefy monsters. just got an older 29r type MTB which can take bigger tires. so I'm just considering the possibilities. was looking for a disc brake rack adapter & saw those tires. I was like: "yeah, I'll stick with what I got"
Last edited by rumrunn6; 09-17-18 at 07:07 AM. I understand that some places there just isn't a good way to get there in the winter by bike, just suggesting that there may be a better route than you think - I dodge around through several neighbourhoods on my way to the bridge that I wouldn't have found without the map I linked below - they're generally plowed fairly well but are very low traffic. My winter route is a little shorter than my summer at 16-18km depending on which bridge I take, but with a lot more stopping, and at winter speeds is normally about 15-30 min longer than biking in the summer. My 'Summer' route is actually the shortest possible route between my house and my work. On the Québec side, I'm on MUP/bike lane once I reach La Verendrye but once I switch to Ottawa, beside the Rideau River Eastern pathway, I'm mostly on low traffic road (may be I'm passed by zero to three cars the whole Ottawa route once I leave Sussex) but that also means those roads are not really well plowed during Winter. Better plowed roads would mean higher traffic and nope, not for me, especially during Winter. was at a favorite outdoor shop this weekend (Outdoor Gear Exchange 37 Church St, Burlington, VT) & saw this item & thought I would share it if it struck anyone as having potential for them... worth noting is the small brim ...? had my arms full (from their consignment & bike depts.) so didn't try it on or price it, sorry but looks like it's approx $25.